Squid fishing in Malta is becoming increasingly popular with the local amateur fisherman. Between September and March, well lit piers are packed with people of all ages and sexes, setting their chairs to book the best places. 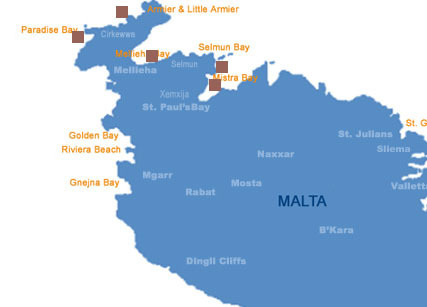 This guide will hopefully help you find some excitement in the all very boring Maltese Winters! Squid fishing from the shore is a non expensive passtime, and it definitely keeps you away from those beer bellies, as usually warm cups of coffee tend to take over! First, lets do some squid biology. Squid are deep sea creatures, hence the big eyes. They need cooler teperatures to survive, so usually you find them in 20m - 50m waters. However, around October when the sea starts to cool down, they start approaching the more shallow waters during the night in hunt for food. You will see them bulleting around the surface, occasionaly grabbing a small fish, or hopefully your squid jig! They appear on the shore just as it gets dark, not before, and that is when they are most hungry, so be ready. For some reason, something I learnt from older fisherman, they seem to be more active when the moon is growing until it becomes a full moon. I don't know where they go when the moon disappears! How to catch squid from the shore. The best time in the year is between November and March. You should always look for well lit piers where the sea is at least more than 3 meters deep. You can easily tell where the squid hot spots are as you are always sure to find other fisherman setting their chairs just before it gets dark. From the shore it is useless to try and fish for squid before it gets dark. However from a boat, as we will se later on, it is a different story. Ideally you are equipped with a 3m rod and a very flexible tip so you can feel the slightest of movements. Use a small comfortable reel and a 20mm stong line with a swivel pin attached at the end. Then get some fancy squid jigs from the local fishing stores. Personally I find green and orange as the best two colours for squid jigs. Use the green when there is too much light from the moon, and the orange one when its less bright. You can also try to set up your own lighting system if you want to get more adventurous and explore the less populated fishing spots. Submersible lights are the best, however 12 volt spotlights attached to a car battery also attract squid. I am not sure why squid are attracted to light, but my suspicion is that light gathers small fish, which in turn gathers squid. The technique used locally is very simple, however I suggest that before you actually start fishing, go to Marfa when it gets dark and sit down for half an hour to watch the more experienced ones do it! What you do is you cast the squid jig as far out as you can and then reel in very, very slowly. 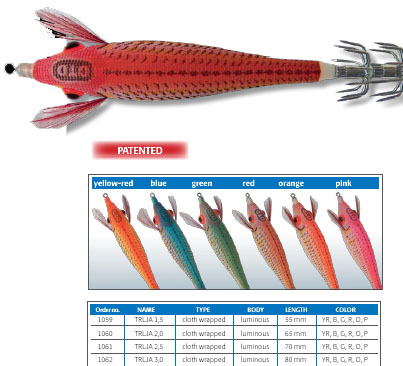 Your jig should ideally float around 50cm below the surface. When a squid touches your jig you will feel a slight tug, nothing like when you catch a fish. Then keep reeling in, and if you feel the extra weight of the squid, do not stop reeling until the squid is in your plastic bag! If you stop reeling, you loose your squid. Don't forget to wear plenty of clothing in winter as it can get extremely cold by the sea in the night, especially since you're not really moving too much. Make sure you cover your ears well and prepare some warm coffee. 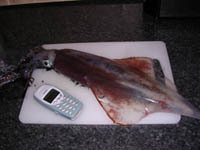 If you have a boat, then you can fish for squid practically all year round. September to March still remains the best time however. It seems that squid are everywhere, so I will let you hunt around. However the stream coming between the Gozo Channel towards Sliema seems to be a very good line for squid. Drive out anything from 1km to 4kms, set up a light shining in the water and have a go. Patience is the key! The setup for squid fishing from a boat is all very different from shore squid fishing. The best time seems to be from just before the sun sets till when it gets dark. Once it gets dark, shine a light to the side of your boat and drop a 40mm line with a weight at the bottom. 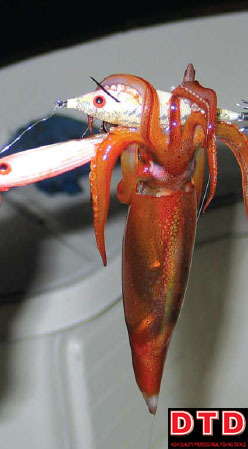 Attach 2 or 3 squid jigs about 50cm/100cm/150cm above the weight. Once the line drops to the bottom, start lifting up slowly until you are around half way up, then let go again slowly. Any rythmn you use seems to work fine, so its up to you to explore. When the squid are plentiful, you catch them by the dozens, and it gets very exciting! I am not sure whether the light has a real effect on the squid, however it helps to charge your luminous squid jigs on their way down.